Florida's governor advocated Monday on behalf of workforce and educational vocation programs. 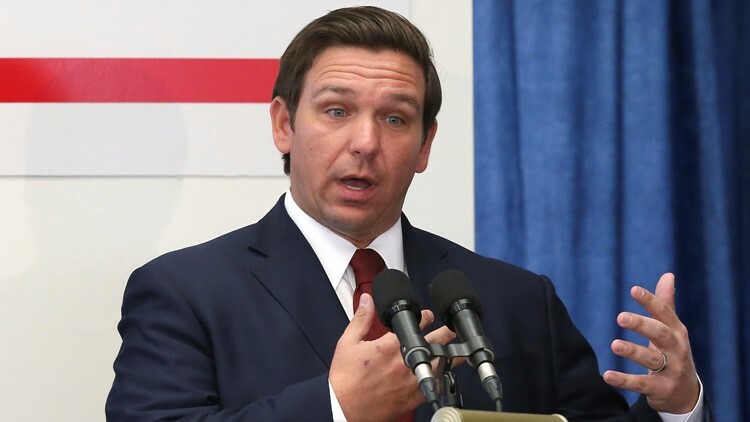 TAMPA, Fla. — Two and a half months after issuing an executive order to end the Common Core, Florida Governor Ron DeSantis discussed his plans for Florida's educational future. Florida Department of Education Commissioner Richard Corcoran joined DeSantis to talk about the educational priorities at Tampa Bay Christian Academy. "As governor, I've made education a top priority and I think we're on track in the legislature," DeSantis said during his announcement Monday. During the announcement, DeSantis advocated for workforce and educational vocation programs as "another way students can succeed." He says his goal is to take Florida from the middle of the pack to leading the country in educational programs by 2030. Along with the push for educational and vocational programs, DeSantis says he hopes to recruit and reward good teachers to stay in the sunshine state by offering as much as a $10,000 bonus incentive per teacher. DeSantis advocated in February for the $422 million increase in bonuses for teachers. DeSantis says he plans on furthering a teacher/talent pipeline, which would ask students to commit to teaching for five years in underserved areas in exchange for help in paying off student loans. He advocated for two educational scholarships to help Florida students, including the Gardiner Scholarship and the Tax Credit Scholarship. The Gardiner Scholarship was created to help parents "individualize the educational plans for their children with certain special needs," according to the nonprofit scholarship website. The Tax Credit Scholarship was created to "expand educational opportunities for children of families that have limited financial resources," according to the Florida Department of Education website. "Florida is a big, diverse state and I just think parents should be in the drivers' seat in their kid's education," DeSantis said. The issue with both scholarships, DeSantis said, is the number of children he says remain on the waitlist. DeSantis says he is committed to clearing both to help more Florida families. The Tax Credit Scholarship program alone has 14,000 parents on the waitlist, DeSantis says. "This is unacceptable and we need to answer that call," DeSantis said. "We need to clear the waitlist so low-income families can go to the schools they want to." DeSantis added that parents should have school choice within the school district and have the option to use charter schools outside of the district to fulfill the demand if need be. He added his support for home school families and parents, adding that parents can look and make the best decisions for their kids. "I support parental choice - people can succeed no matter where they start off and I believe they can do great things," DeSantis said. "Everybody can succeed, they just need to be given the right opportunity."